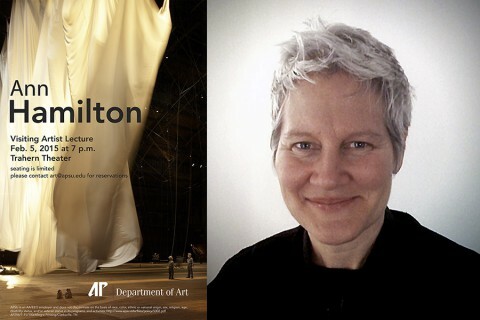 Clarksville, TN – The Austin Peay State University Department of Art is proud to welcome Ann Hamilton, an internationally recognized visual artist known for large-scale multimedia installations. As a part of the Department’s visiting artist series, Hamilton will present a lecture on February 5th at 7:00pm in APSU’s Trahern Theatre. 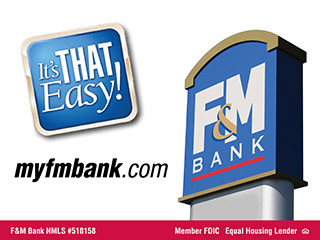 The event is free and open to the public, but seating is limited. Hamilton’s work has taken many forms, appearing as everything from a building four stories high and art as small as the surface of a thimble. Her work has often focused on considering our relationship to physical space. Hamilton’s artwork often aims to “slow down” the viewer, using multi-layered creations that slow the way a viewer moves through or experiences her art. Notable public works include a mural of 50,000 paper library cards on display at the San Francisco Public Library, a mile-long walkway at the Allegheny Riverfront Park in Pittsburgh and a 7,200 square foot wood floor in the Seattle Public Library made up of 556 lines of wood designed to create a walkable surface of letterform script. Hamilton has earned many honors during her career, including the Heinz Award, MacArthur Fellowship, United States Artists Fellowship, NEA Visual Arts Fellowship, Louis Comfort Tiffany Foundation Award, Skowhegan Medal for Sculpture, and the Guggenheim Memorial Fellowship. She has also exhibited her work extensively around the world, including presentations in France, Sweden, England and Japan. Domestically, Hamilton has exhibited in major cities like New York, Los Angeles, Chicago and Washington, D.C.
An Ohio native, Hamilton has served on the faculty of The Ohio State University since 2001, where she is a Distinguished University Professor in the Department of Art. She currently operates Ann Hamilton Studio in Columbus, Ohio. For more information on the lecture, contact the APSU Department of Art at 931.221.7333. Topics: Ann Hamilton, APSU, APSU Department of Art, APSU Trahern Theatre, Austin Peay State University, Chicago IL, Clarksville TN, Columbus OH, England, France, Japan, Los Angeles CA, New York NY, Sweden, Washington D.C.